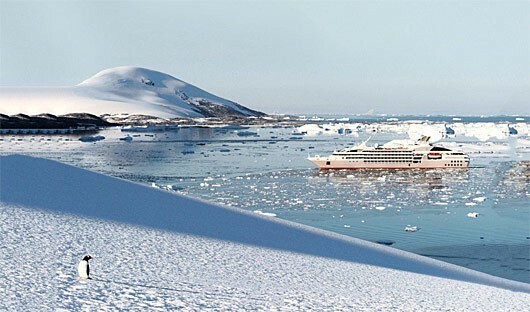 The Le Soléal provides a luxurious and comfortable experience to the Pacific Ring of Fire. Carrying a maximum of 200 passengers she creates a welcoming and intimate atmosphere for you to take in the awe of this majestic continent. 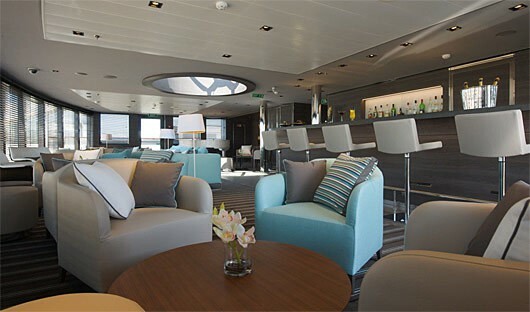 This ship offers excellent facilities including a spa, fine dining restaurants and exquisite décor throughout. The fleet of Zodiacs take you off the ship on excursions to explore the wonders of the Aleutian Islands & beyond. 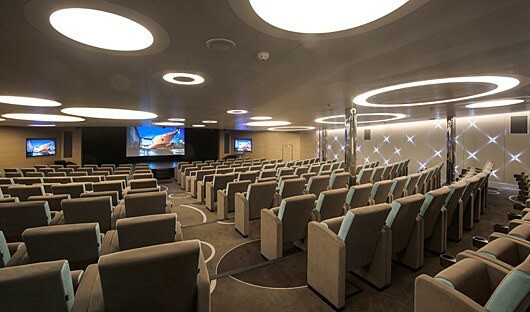 The Owner’s suite is situated on Deck 6. 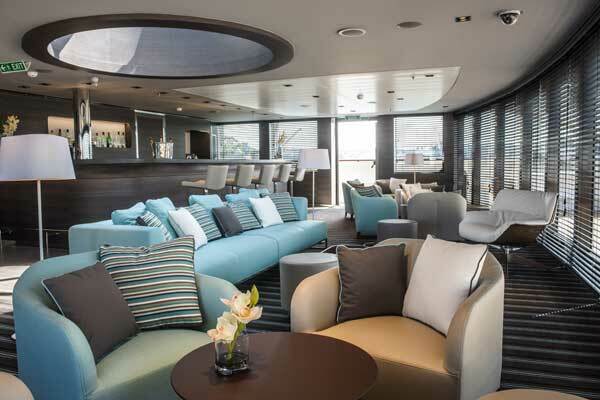 It has been decorated by Franch interior designers and will provide you with a breathtakting panoramic sea view. 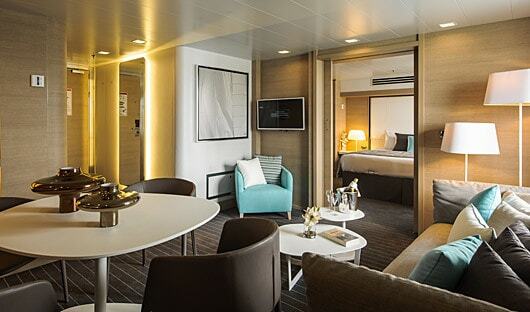 The suite features: individually-controlled air-conditioning, king-size bed or twin beds. en-suite facilities, mini-bar, flatscreen satellite television, desk with stationary, ipod players, video on demand, safe, haridryer, bathrobes, satellite direct line telephone, 110/220 volts outlet, French bath products, 24hr room service, wifi internet access. The suite is 45 square metres. The Prestige Suite can sleep up to 4 passengers. The suite features: a private balcony, individually-controlled air-conditioning, king-size bed or twin beds. en-suite facilities, mini-bar, flatscreen satellite television, desk with stationary, ipod players, video on demand, safe, haridryer, bathrobes, satellite direct line telephone, 110/220 volts outlet, French bath products, 24hr room service, wifi internet access. It is 37 square metres. The Deluxe Suite can sleep up to 2 passengers. The suite features: a private balcony, individually-controlled air-conditioning, king-size bed or twin beds. en-suite facilities, mini-bar, flatscreen satellite television, desk with stationary, ipod players, video on demand, safe, haridryer, bathrobes, satellite direct line telephone, 110/220 volts outlet, French bath products, 24hr room service, wifi internet access. It is 27 square metres. 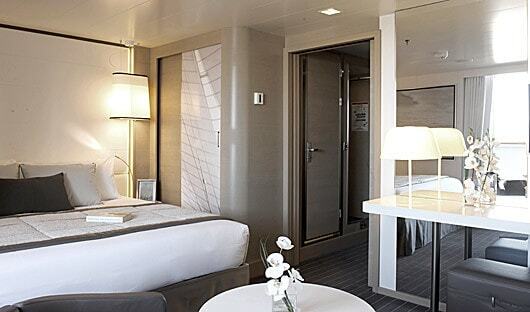 The Prestige Stateroom can sleep up to 2 passengers. 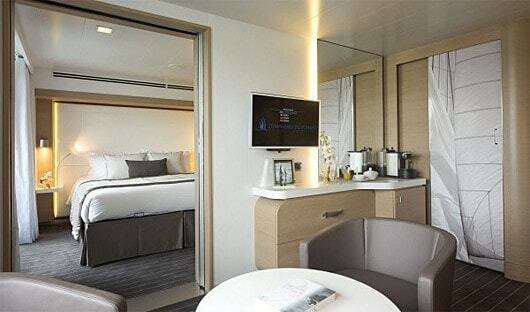 The cabin features: a private balcony, individually-controlled air-conditioning, king-size bed or twin beds. en-suite facilities, mini-bar, flatscreen satellite television, desk with stationary, ipod players, video on demand, safe, haridryer, bathrobes, satellite direct line telephone, 110/220 volts outlet, French bath products, 24hr room service, wifi internet access. It is 18 square metres. 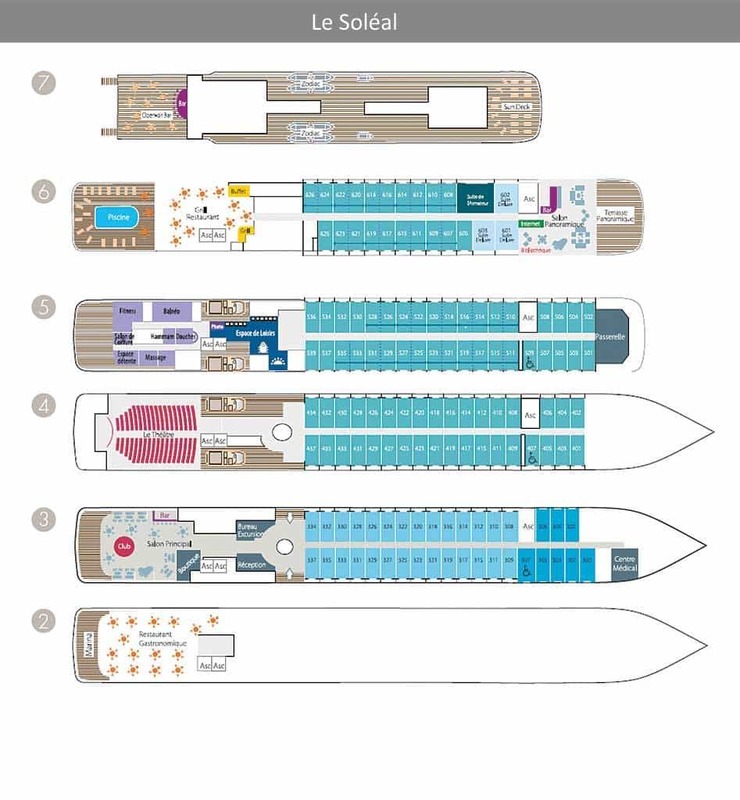 The Deluxe Stateroom can sleep up to 2 passengers per cabin. The room features: a private balcony, individually-controlled air-conditioning, king-size bed or twin beds. en-suite facilities, mini-bar, flatscreen satellite television, desk with stationary, ipod players, video on demand, safe, haridryer, bathrobes, satellite direct line telephone, 110/220 volts outlet, French bath products, 24hr room service, wifi internet access. It is 18 square metres. 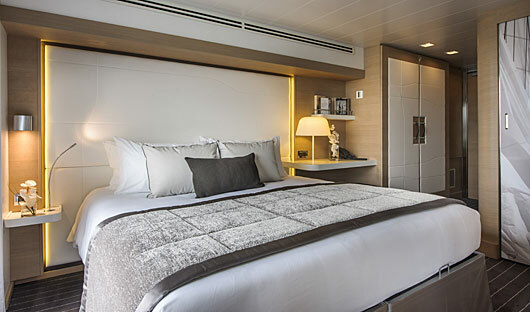 The Superior Stateroom can sleep up to 3 passengers per cabin. The room features: individually-controlled air-conditioning, king-size bed or twin beds. en-suite facilities, mini-bar, flatscreen satellite television, desk with stationary, ipod players, video on demand, safe, haridryer, bathrobes, satellite direct line telephone, 110/220 volts outlet, French bath products, 24hr room service, wifi internet access. It is 21 square metres. 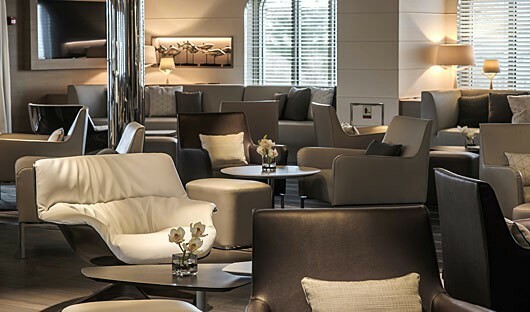 Main lounge 255 square metres. Includes dance floor and cocktail bar and access to the outside terrace. 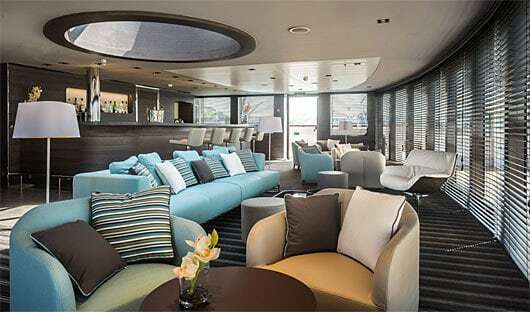 Panoramic Lounge 110 square metres. 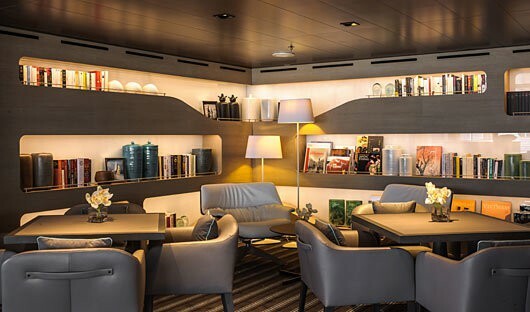 Includes library, cocktail bar, live entertainment and access to the panoramic terrace. 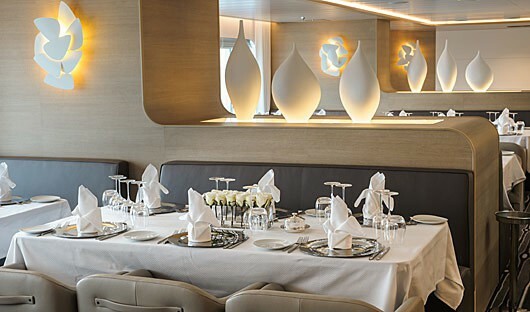 Gastronomic Restaurant in the elegant main dining room for breakfast, lunch and dinner serving french and international cuisine. Also has a fine wine cellar. Grill restaurant for casual eating for breakfast, buffet lunch and themed dinner.